Ernie Ball 2223 Super Slinky Nickel Wound electric guitar strings are played by Jimmy Page Jeff Beck and Angus Young. They are precision manufactured to the highest standards and most exacting specifications to ensure consistency optimum performance and long life. Gauges .009, .011, .016, .024w, .032, .042. 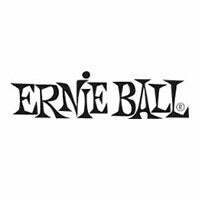 If you have any questions, give us a call or stop by to pick up your favorite packs of Ernie Ball guitar strings and save today.